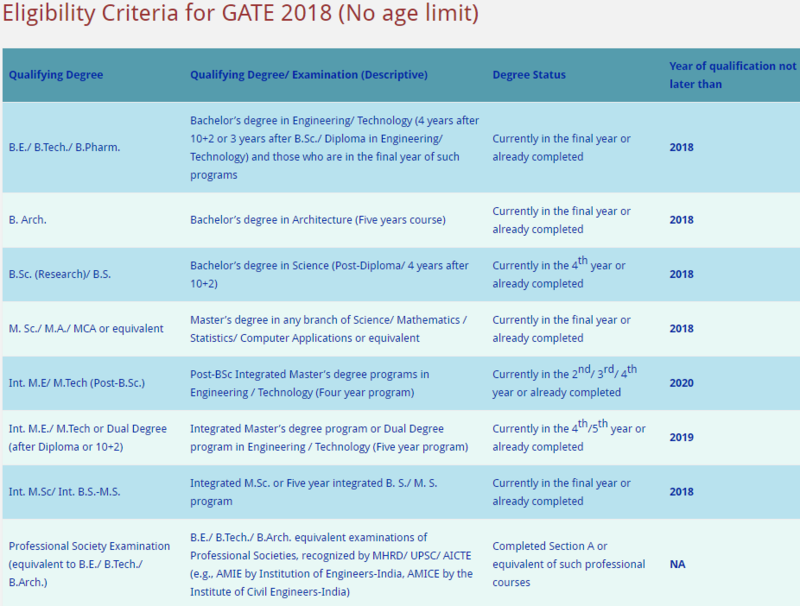 GATE 2018 Notification, Eligibility, Exam Dates, Pattern Released on official website, gate.iitg.ac.in. Graduate Aptitude Test in Engineering 2018 examination pattern, date of examination, online application time lines, exam schedule released by Indian Institute of Technology (IIT) Guwahati. GATE 2018 – Information Brochure : Graduate Aptitude Test in Engineering (GATE) is an all India examination that primarily tests the comprehensive understanding of the candidate in various undergraduate subjects in Engineering/ Technology/ Architecture and post-graduate level subjects in Science. The GATE score of a candidate reflects a relative performance level in a particular subject in the exam across several years. The score is used for admissions to post-graduate programs (e.g., M.E., M.Tech, direct Ph.D.) in Indian institutes of higher education with financial assistance provided by MHRD and other Government agencies. The score may also be used by Public and Private Sector Undertakings for employment screening purposes. The information in this brochure is mainly categorized into Pre-Examination (Eligibility, Application submission, Examination Centers, etc. ), Examination (Syllabus, Pattern, Marks/Score, Model Question Papers, etc.) & Post-Examination (Answers, Results, Scorecard, etc.) sections. About Gate: The Indian Institute of Technology Roorkee and seven Indian Institutes of Technology (IITs at Bombay, Delhi, Guwahati, Kanpur, Kharagpur, Madras and Indian Institute of Science (IISc)) jointly administer the conduct of GATE. The operations related to GATE in each of the 8 zones are managed by a zonal GATE Office at the IITs or IIT Roorkee. The Organizing Institute (OI) is responsible for the end-to-end process and coordination amongst the administering Institutes. 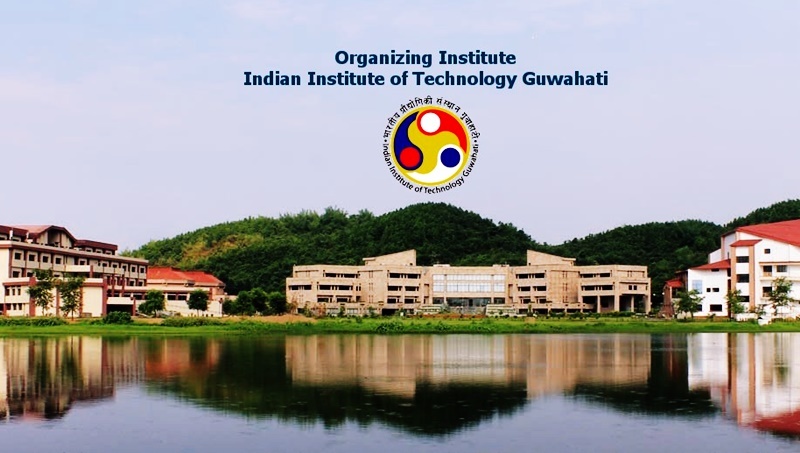 The Organizing Institute for GATE 2018 is Indian Institute of Technology (IIT) Guwahati. Admission to Postgraduate Courses (Master’s and Doctoral) with MHRD and other Government Scholarships / Assistantships in Engineering / Technology / Architecture / Science are open to those who qualify in GATE. The GATE score is also used by some PSUs for their recruitment. GATE 2018 score will be valid for a period of THREE YEARS ONLY from the date of announcement of results. Bachelor’s degree holders in Engineering/ Technology (4 years after 10+2 or 3 years after Diploma in Engineering/ Technology) and those who are in the final year of such programs. Master’s degree holders in any branch of Science / Mathemat-ics / Statistics/Computer Applications or equivalent and those who are in the final year of such programs. Holders of Four-year Integrated Master’s degree (Post-B.Sc.) in Engineering/Technology and those in the second or higher year of such programs. Holders of Five-year Integrated Master’s degree or Dual Degree in Engineering / Technology and those in the fourth or higher year of such programs. Holders of Five-year integrated M.Sc. or Five year integrated B.Sc./M.Sc. degree and those in the final year of such programs. Candidates with qualifications obtained through examinations conducted by professional societies recognized by UPSC/AICTE as equivalent to B.E./B.Tech. Those who have completed section A of AMIE or equivalent of such professional courses are also eligible. Candidates from Bangladesh, Ethiopia, Nepal, Singapore, Sri Lanka and United Arab Emirates must have completed or are in the final year of their Bachelor’s degree in Engineering/Technology or Post-graduate (M.Sc.) degree in any relevant science subject. Examinations for all the papers shall be conducted in ONLINE mode only (Computer Based Test). All candidates must apply ONLINE. Further details and ONLINE application form can be obtained by accessing any of the GATE/JAM zonal websites (or by scanning the image below using a QR reader facility that is available on many mobile phones). The detailed notification will be released on the official website soon. So far, only important dates of the GATE 2018 have been released. I am OBC but not in OBC-Non Creamy Layer. While applying for gate exam .